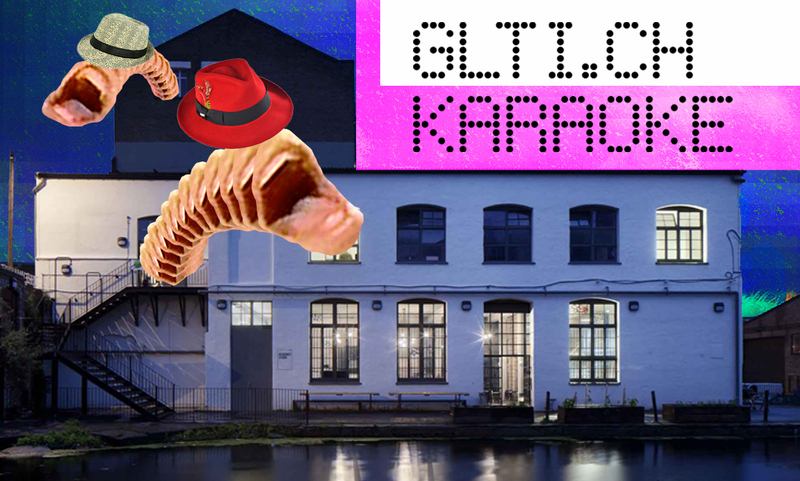 On Friday May 30th come to Arebyte Gallery, Hackney Wick, for an evening of GLTI.CH Karaoke! Sing with people present and telepresent, near and far in a raucous party at the edge of London. Invitation to Telepresent People Can’t make it to the gallery in person? Want to join or even host your own GLTI.CH Karaoke Portal on May 30th? Hook into the real-time live crooning fun via our Tinychat page: http://tinychat.com/gltich (For step-by-step instructions to join us: http://glti.ch/host-a-glti-ch-portal) All you’ll need is an internet connection, a webcam and a set of speakers/headphones loud enough to keep your feet moving and your vocal chords vibrating. Bio GLTI.CH is a collaborative mess between Kyougn Kmi and Daniel Rourke that breaches hopeless distances with cultural and technical make-dos. Our work brings people together in glitchy karaoke fests, broken DJ mix-haps, and other kludged-together happenings. Since April 2011 we’ve exposed the course of accidents, temporal lyrical disjoints and technical out-of syncs between, among others, London/Seoul/Kumamoto with Meanwhile Space, Liverpool/London with MercyUK, Amsterdam/Chicago/London with glidottcslashh, Amsterdam/Berlin/Seoul/Manchester as part of ANDfestival, and with The White Building, Hackney Wick. We’ve made the mishmashed world of GLTI.CH through play and we hope you’ll join us. 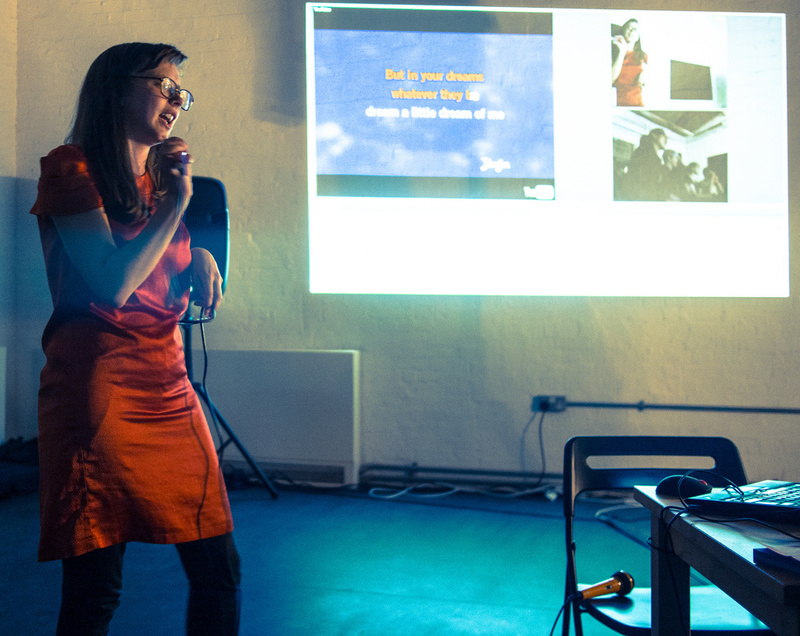 You don’t need to leave the house to belt out your favourite karaoke tracks—with strangers. Two Skype-friendly artists have founded glti.ch karaoke, an online karaoke project which anyone can partake in. You literally sign into Skype and sing karaoke duets (or quartets) with fellow fans. Imagine chat roulette was entirely musical and you get how things are matched. The artists Kyoung Kim and Daniel Rourke started this without any plans. Three years later, they’re still singing to Belle and Sebastian on YouTube. Strangely, they’re not alone. As they continue to synchronize singers in different time zones, they also do these GLTI.CH Breaks event where DJs located in different parts of the world mix together in a basement, a bedroom, or a pub full of drunks (from New York to Seoul, they’ve done it all). Last month, glti.ch karaoke opened a show called Tactical Gltiches at the SUDLAB gallery in Italy. They spoke to us about tinkering with Ustream, avoiding crappy bandwith, and how acapella saves the day. NOISEY: How did Glti.ch Karaoke come about? Kyoung Kim: We were swapping stories over a few pints—Daniel of his experiences living in Japan, and I of my time in Korea, and got to talking about missing karaoke in these respective countries. Unlike your average karaoke bar in the US or the UK with a conspicuous stage and spotlighting for the singer, karaoke in Korea and Japan generally consists of piling into a room with a bunch of friends, food, and drink and singing in a raucous mix of solos, duets, and group numbers eventually belted while standing on the sofa. It’s more about sharing fun with people than claiming your theatrical moment, and all in all, you get a lot more bang for your buck. For me, karaoke with my sister trumps all, but at the time she was living in Seoul. I confessed to Daniel I’d been getting my karaoke fix by singing YouTube karaoke videos with her over Skype. Daniel Rourke: We were astounded to find that nobody had given a name to ‘singing karaoke over Skype.” (We did a lot of Google searches). It seemed so obvious to us to hook up two locations, buffer a YouTube rendition of “Livin’ on a Prayer“ on both sides of the Atlantic and click “play.” That got us thinking about the possibilities. A good friend works at Meanwhile Space, a non-profit organization in London that transforms empty properties into community projects, and mentioned to us that they were about to start working in an old shoe shop in Whitechapel. The challenge to make karaoke happen in a dusty basement with no internet access at four o’clock in the afternoon spurred us on. We had our eye on the amazing stuff the GLI.TC/H community was doing at the time, and setup our website Glti.ch as a kind of homage to them. The rest is less easy to explain. How does it work? Rourke: We have done it a few different ways over the years, but we try and make sure the basic setup is accessible to anyone who wants to repeat it. Using free software like TinyChat or Google Hangouts we link up at least two disparate locations and orchestrate karaoke duets over the internet. YouTube is stuffed full of fan made karaoke versions of pop tunes. If you want to sing it, chances are, somebody has already uploaded it. Then it’s just a case of scrambling to get things to work on both sides. Kim: To prepare for that scrambling, we test and design a bunch of back-up plans that only work about 30% of the time in attending the actual glitches that manifest. In emphasizing the GLTI.CH of the karaoke, the scramble is something we both warn and invite others to join in on. So how things work is not just contingent on computer software, hardware, cables, and broadband connections, but also on the mix of curiosity, patience, and enthusiasm for making-your-own-fun-through-convoluted-ways that people bring with them to our events. Rourke: That’s where the “art” of the project begins: a sincere desire to dance with failure. The most exciting elements of the project come out of realizing how many variables there are in organizing something so simple, especially if you have a group of drunk karaoke enthusiasts at one end, say in Liverpool, and an old pizza restaurant in a London shopping mall at the other. The thing that remains stable—getting people to sing duets—is surrounded by all this other stuff that we, as the hosts, have to juggle. Let’s just say we are both very adept at keeping a crowd entertained. 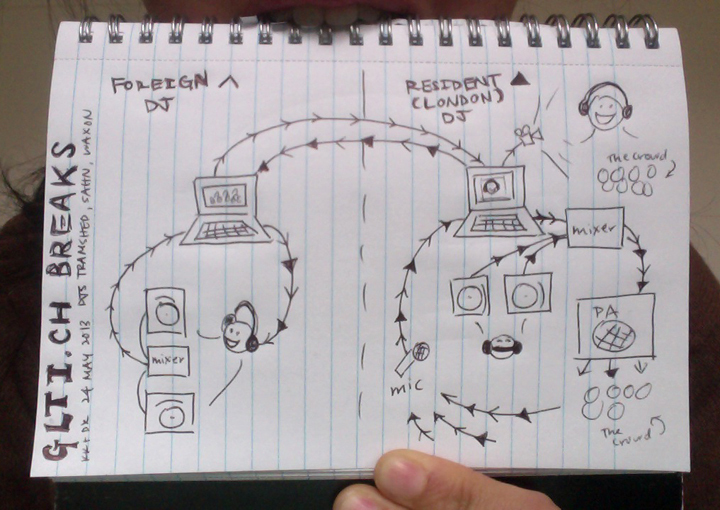 How do you combine DJs in different time zones together? Kim: A lot of planning. Hosting a party in London on a Friday night means you get a DJ during the work day in San Francisco. So we work with our DJs’ schedules accordingly. There is constant managing and coordinating during the event. We dedicate one computer and the best internet connection in the house to connecting with the DJs with (so far) Skype, but also usually have one or two other computers open with Google Hangouts, again Skype, Tinychat, Facebook, Twitter, Kakao Talk, our phones, smoke signals, pigeon… both for backup and because different people have different preferences for interfaces. We avoid as much as we can set-ups that require others to register or sign up to any new social media outfit, download more software, or buy equipment they don’t have. 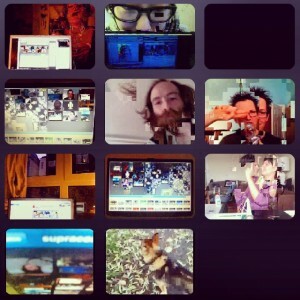 With the last Breaks, we tinkered with Ustream, and the chat in there ended up being the key for making things go. What is GLTI.CH Breaks? Rourke: Originally, it was a project we instigated with Christina Millare. We wanted to take some of the stuff we had learned while glti.ch karaoking and translate it into another format. The result was the first GLTI.CH Breaks event, where we had three DJs—Tramshed, Sahn, and WaxOn—all located in different parts of the world, mix together in the basement of Power Lunches, Dalston. It was a blinding success, apart from the computer crashes, and crappy bandwidth, but that means success to us. Karaoke is a ridiculous phenomenon. Anyone who has watched the X-Factor will know how kitsch and mediocre karaoke can be. But those of us who love it embrace that, and the social outcome of that kitschy quality is what makes it so wonderful. Our projects inhabit that crappiness, and take it somewhere else, so the technical components of the work also echo the social, and hopefully the two really fuse and amplify each other. With GLTI.CH Breaks I think we stumbled on something like that. 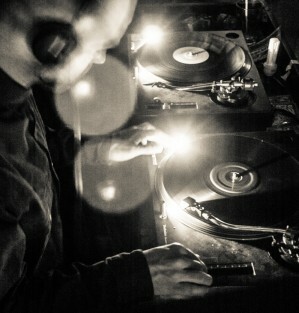 DJ mix culture is based around a beloved, but antiquated medium – the vinyl record – that is prone to skip, and jump and crackle and hiss. Ironically though, it is those very qualities that make vinyl perfect as a medium of expression. Building a series of technical, network, temporal and spatial layers on top of that in GLTI.CH Breaks we felt as if the creative element of DJing was heightened even further. Plus, drunk people get really excited when they realize that a DJ based in a bedroom in San Francisco is mixing tunes just for them. Kim: They get excited by it when sober too! Download the PC or MAC version of Zandronum (a freeware program for playing Doom). Install Zandronum on your system (make a note of exactly where it installs on your computer e.g. C:\Program Files\Zandronum). Download our GLTICH WAN PARTY MAP pack. Unzip the MAP PACK you downloaded into the Zandronum directory (e.g. C:\Program Files\Zandronum). Now, if you open up the Zandronum directory you will see another directory called ‘Doom Seeker’. Go into there and load the Doom Seeker application. First up, it is worth checking your settings are correct. Go into the ‘options’ menu then click ‘configure’. Got to the ‘File Paths’ setting. Make sure your Zandronum directory is listed here (e.g. C:\Program Files\Zandronum) - add it if it isn’t. Save and go back to the main Doom Seeker screen. You will now see a long list of servers. Our server is called TACTICALGLITCH, it has a British flag. Scroll down until you find it, or alternatively click the ‘Servers’ column header to arrange the list anti-alphabetically. It should be near the top. Double click the server to join! Controls (you can change these too in the Options menu) Mouse = move your head around, (or you can use the <-left and right-> arrow keys to look around) W = forward A = strafe left S = backward D = strafe right CTRL = fire SPACE BAR = Open doors T = Type a message and press ENTER to broadcast it! As well as killing innocent players in SUDLAB Gallery, Naples, there are lots of secrets to discover on the map. The monsters WILL KEEP ON COMING! The body count WILL KEEP ON RISING! Have fun! Invite your friends, and get Tactical. Massive thanks to curators and collaborators Nick Briz and Rosa Menkman, as well as SUDLAB Gallery, Naples, and Domenico Dom Barra! We’re excited our original crew is back for this second GLTI.CH Breaks! Working with our kludgy ways they’ll be sending real-time beats and breaks from their various locales to the party-makers and -shakers inhabiting the Sudlab gallery space in Portici, Italy. Can’t corporeally make it to Sudlab? No problemo! Join us online in the GLTI.CH Tinychat room (http://tinychat.com/gltich) wherever you are in the universe! In just 10 days time we will be taking part in Tactical Glitches, an exhibition curated by Nick Briz and Rosa Menkman at SUDLAB Gallery, Naples, with Domenico Dom Barra. “Technologies come with expectations, but these expectations aren’t always met. An MP3 might skip and crackle. A computer monitor might—for a moment—show shards instead of windows. A website might hiccup on load and scramble its contents. When this happens, we call this unexpected occurrence a glitch. While these moments are rarely anticipated and usually unwelcome, they are at times intentionally provoked. The result of this intentional and creative instigation is what we often call GLITCH ART.” – Rosa Menkman, Nick Briz Visit the gallery on opening night (January 24th) for a round of GLTI.CH Breaks, followed by a month-long Doom WAN Party in the gallery space! What is a GLTI.CH WAN Party? 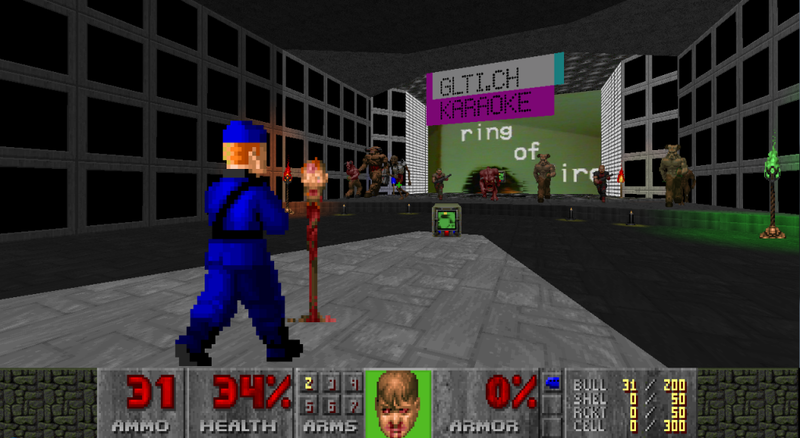 We’ve kludged together free software, dusty hardware, and technical loopholes to rock a global deathmatch Doom WAN party that celebrates, in GLTI.CH style, 20 years of Doom LAN parties. Computer stations installed at SUDLAB in Naples are connected to a remote laptop server in London and a turn-of-the-millenium PC in Seoul, inviting network errors through the front door and rendering gameplay inefficiently possible. Your keyboard movements and rocket launching in the SUBLAB gallery space may not just warm up, but explode computers and servers located across the world! Frienemies can also join in the rusty chainsaw action via the TACTICALGLITCH Doomseeker server. See you at SUDLAB or ONLINE very soon. Watch. This. Space! We just finished a 3 day marathon we called GLTI.CH Portals, at CRYSTALLIZE exhibition. Part of a 3 day New Media art installation at the 2013 Korea Brand & Entertainment Expo, held at Old Billingsgate, London. Below are photos from the event. You can also listen to a brief interview we did with BBC Radio’s Dan Damon for World Update (listen from about 17mins in). We really want to thank everyone who took part and all those who brought this exhibition together, especially Stephanie Seungmin Kim, Heejin Cho and Hyemi Na for inviting, curating and welcoming us into the Korean/UK collaborative fold. This might very well be the last time GLTI.CH host a Karaoke event. We have news of this soon, but for now, please enjoy the wondrous smiles on all the GLTI.CH Portal participants’ faces. GLTI.CH wants to collaborate with you! We are embarking on a project to hook up galleries, bedsits, artist studios, and other disparate spaces across the globe in a project we are calling GLTI.CH Portals. We continue to GLTI.CH Karaoke at The White Building with nothin’ but BALLADS! So come and unleash your inner Frankie, Ella, Billie, Julio, Whitney, Patti… onto bleeding hearts around the world at The White Building and/or live online at http://glti.ch/ballads. It’s our first ever GLTI.CH Karaoke themed session, so more than ever, we are curious: What ballad will YOU sing? p.s. Don’t forget to translate our start time of 7:30BST to your timezone! This event will be preceded by The Digital Subconscious I – a forum looking at Art, Technology and Global Society. We are delighted to announce the first in a series of GLTI.CH events at The White Building, East London! Kicking off with KARAOKE at 7pm GMT on Sunday the 18th of August Come and sing your hearts out from The White Building, in our event space – with the Olympic Park and Annish Kapoor looking on in the background. For this trans-global sing-off, we’ll be celebrating our Indian summer with a slew of hits – from post-revolutionary angst to Rihanna. Let the GLTI.CH Karaoke Summer Revolution begin! Catch us in the flesh - 7pm-11.30pm GMT August 18th - or live online at our TinyChat hub to join in the fun. Enjoy the Breaks LIVE, 8pm – 2am, at Power Lunches (Kingsland Road, Dalston) or join us online on the night at: tinychat.com/gltich Tickets: £5 adv / £6 on the door Advance tickets available here: wegottickets.com/event/220669 - Facebook event invite thingy here: HAPPENING! 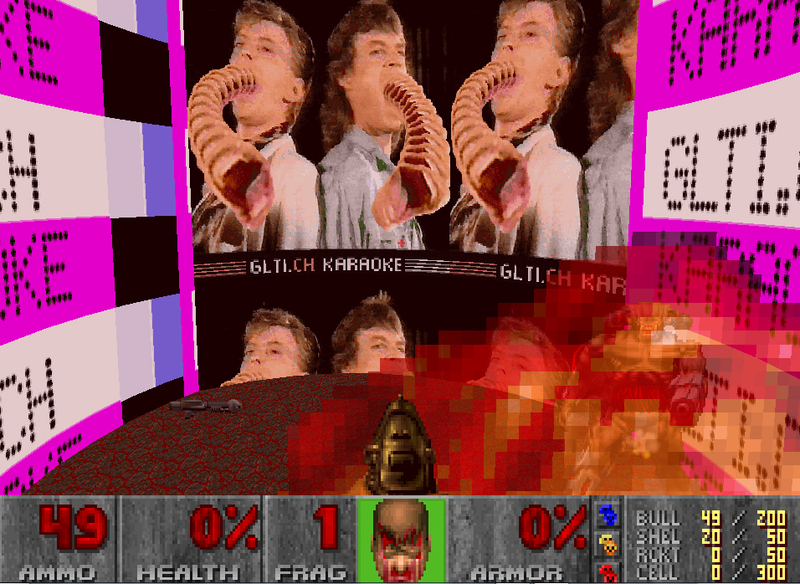 GLTI.CH Karaoke has been on hiatus, but that doesn’t mean its ceaseless energy has ceased! No. No. No. No. No. Spinning into my Facebook feed today was a piece at Slate on a new project by Raymond J. Lustig’s called : Latency Canons. Working with the New York-based American Composers Orchestra and a carefully tuned hookup on Google Hangouts, Lustig and his team orchestrate musical ‘canons’, pushing bandwidth delays into melodious syncopations between NY and Manchester, UK. The project is an obvious homage to GLTI.CH Karaoke, delivered with such a fine degree of modesty that Lustig was too embarrassed to mention us. That’s OK Lustig. We understand and hope to see the kitsch and high-art music worlds pulled closer together through projects such as this. How about putting the orchestra back into Karaoke? After all, the word KARA-OKE is a portmanteau coinage of KARA ‘empty’ and OKE ‘orchestra’. We love Latency Canons, lovely Lustig, and we’d like to sing with you. It’s exciting to see the potential of latency used to such creative effect. What’s more, to have such a strong emotional response from an audience, tweaked through simple, off-the-shelf software (this is the GLTI.CH Karaoke philosophy). The possibilities of latency play was explored to its experimental environs by Kyoung Kim, Ryan ⊥ Dunn and Edwina Portocarrero for their Supraconductivity series, delivered in the run up to GLI.TC/H 2112. The final ‘performance’ included an hour-long video chat in which Ryan battled extreme 3G latency and the cold Chicago winds in order to find and converse with a dog. It was a special moment, extended to 60 nail-biting minutes of glitches, audio-visual sludge and bandwidth feedback. The GLI.TC/H community revelled and regrouped, safer in the knowledge that LOVE OF FAILURE was what bound us. We have exciting project news to announce soon, but for now, keep Google Hangingout, TinyChatting and PLAY THAT LATENCY JUST LIKE LUSTIG! As originally featured on the DRadio Wissen site (here is a terrible Google translation for your pleasure): Never were beautiful mistake An error in the digital image processing in a computer game in the transmission of live streams – which can be very annoying. Glitching contrast, describes when a player to exploit this bug as advantages in the computer game for himself. And some turn a glitch also art. For this new art form now is a virtual museum and created the world is kind of glitch discussed. Glitch Artists gather this type of error in images, sound, video, and try to make myself even by opening files with the wrong programs and thus achieve an erroneous result. For example, a exc. 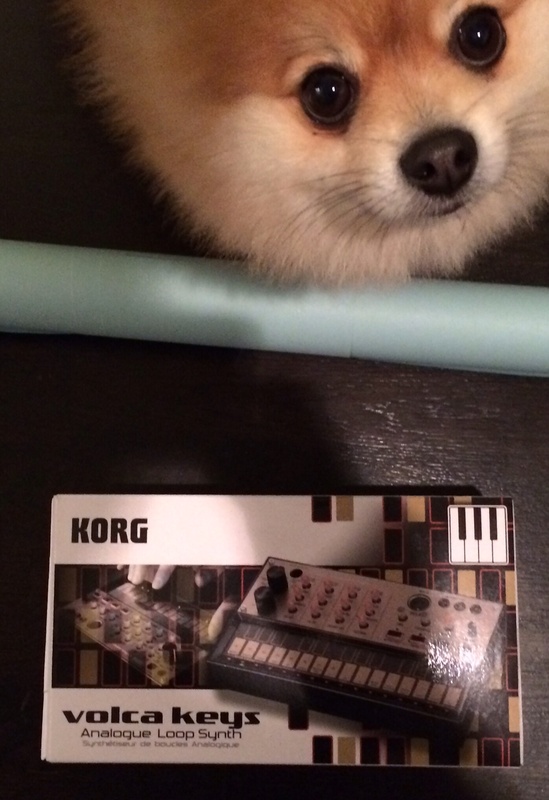 file with a sound program. Iihh how slippery! The word glitch should have been from the German “slippery” borrowed into English. In the Anglo-American electrical engineers use the term glitch, if there was a faulty circuit. We awoke Bleary eyed today, memories buzzing in our noisy heads. Did last night really happen? Were you there? Can you prove it? Machines by Other Means, an event curated by Christina Millare and Cornerhouse for Abandon Normal Devices Festival, was bound to be a winner. 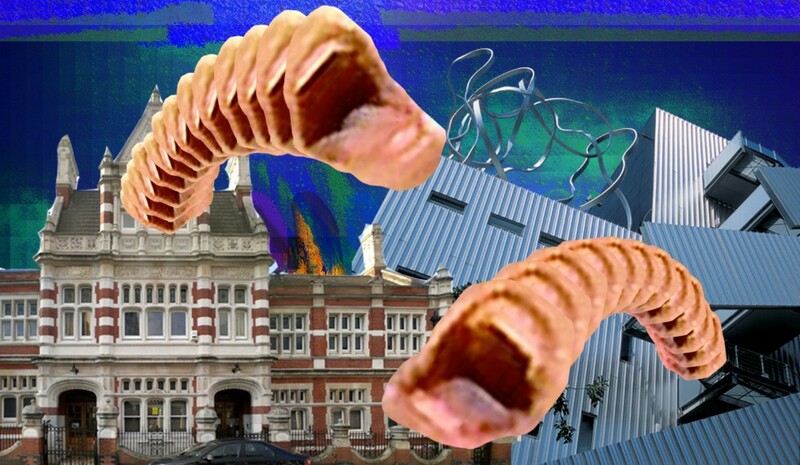 Five hotel rooms in The Salutation Hotel & Pub were to become the venue for a whole series of monstrously noisy events. Noisy sounds; noisy approaches; noisy intentions. A house party in a hotel is so right for GLTI.CH Karaoke it hurts. And it did hurt, in a good way. Countless joyful krooners crammed into our meagre space, propping themselves up on springy hotel beds and tasty Northern fine ales. We were joined by a whole host of online head-swayers, who logged into our tinychat webspace from 9pm until 2am (Seoul/London/Berlin/?????). They sang, we sang louder; they laughed; we laughed with them; they requested songs, we gathered around the webcam and joined in singing with them. It was a ball. Below are some photos of the event (see them on Facebook too), with some snazzy official press photos to follow . Videos have been rumoured to exist… Lots of thanks to EVERYONE who attended, live in Manchester Meatspace, or virtually via the magical interwebs. Please leave a comment if you were there, or hit us up at our Facebook and Twitter pages. Special thanks to Jennifer Chan, Nathan Jones, Antonio Roberts, Rosa Menkman, Mark Amerika, Bo Ningen, Linda Stupart for trying to logon so hard, and especially Christina Millare and everyone at the Cornerhouse for putting up with us! Through mistranslation, malfunction or a signal of the wrong duration, this night is not just a celebration of the error itself but a visual and sonic manifestation of improvised mayhem. What if machines were reconfigured to corrupt? Expect overheated batteries, projectors chewing images and sonic assaults like the sound of furniture exploding – all from the comfort of The Salutation Hotel. Machines By Other Means is a house party gone wrong, featuring MOGA mastermind Mark Amerika’s live manifesto on glitch in collaboration with sound artist, Twine (Ghostly Records), Lydia Lunch’s provocative musings on contemporary society, squalling and spacey sonicism by noise merchants Bo Ningen, ‘Holy Artist’ Bjorn Veno’s spontaneous exploration of technological spirituality, Oscar Lhermitte’s drill machine cameras and collaborative karaoke devised by GLTI.CH. Join us in person (Facebook Event) or Join us LIVE online (tinychat.com/gltich) at 9pm GMT On 30th of August we hit AND Festival, singing our hearts out from a bedroom at the Salutation Hotel in Manchester. 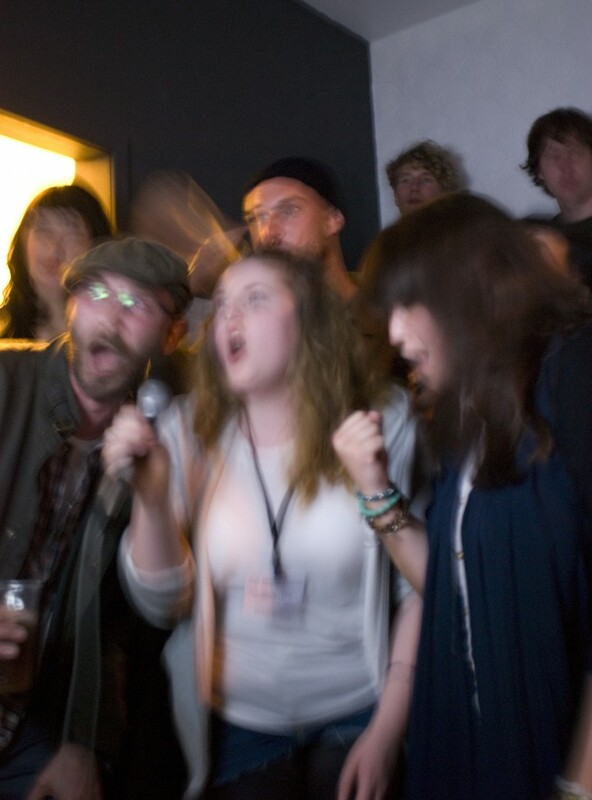 In the build-up to our transglobal sing off, we’d love to hear what your favourite Karaoke songs are and why. Do you sing Prince’s “Kiss” to woo? U2′s “With or Without You?” when you want to sway in the booth holding your lighter aloft? Johnny Cash’s “Walk the Line” to start the night off with a bang? Bon Jovi’s “Livin on a Prayer” to finish at a climax? Rihanna’s “Umbrella” when it’s raining outside? We invite your responses as we rethink the karaoke songbook. One for lovers of song and story. That celebrates the emancipated crooner and highlights our unique experiential associations and stories with the music we love. It’ll be online and indexed by the names (or alias if you’d like) and descriptions/stories of those who sing them and then hyperlinked to the respective song on YouTube so that others may feel what you feel when you sing what you sing. Any/all responses very welcome here, at our Facebook Event page or via email at gltiches@gmail.com (ideally between now and August 20th). Let the GLTI.CH Karaoke Songbook Revolution begin! 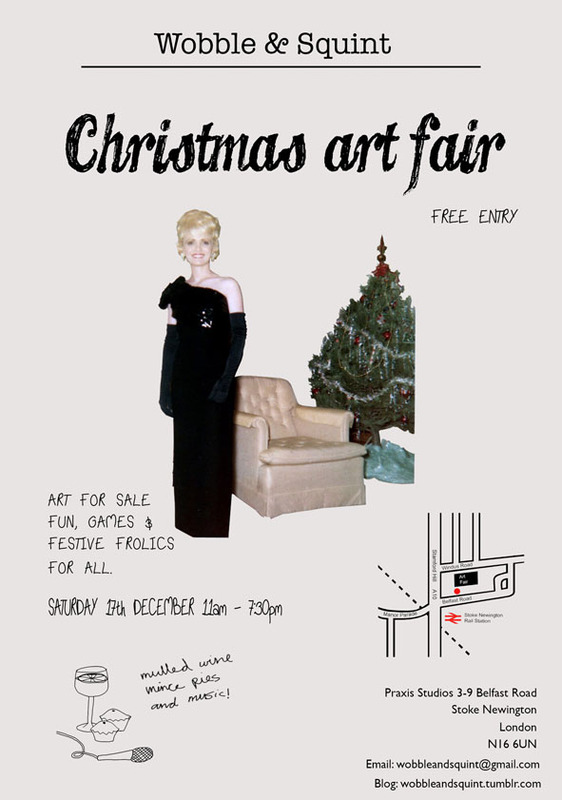 Join us in person or virtually tomorrow, Saturday 17 December 2011 5-7pm GMT (aka London time) for some holiday GLTI.CH Karaoke at the Wobble & Squint Christmas Art Fair in Stoke Newington! Sonic Christmas and Kwaanza overload with art and mulled wine. See invite for details on corporeal karoling. Virtually log-in at http://tinychat.com/gltich.